Ascending Butterfly: Hairfreé™ Review and Giveaway! - Holiday Buying Guide Editor's Pick! - There will be TWO winners! 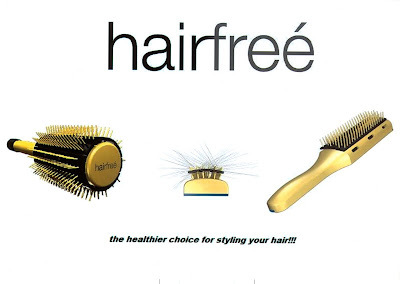 Hairfreé™ Review and Giveaway! - Holiday Buying Guide Editor's Pick! - There will be TWO winners! This giveaway is now CLOSED. Thanks so much to our wonderful sponsor Hairfreé, We look forward to working with you again! Congratulations to 'Happi Shopr' and 'Carolyn G' (we post our winner's comment/follower names instead of full names, this is why it's in quotes) the winners of Ascending Butterfly's Hairfreé™ Brushes Giveaway! Our two lucky winners will each receive BOTH the flat and round brushes! I am very excited for our winners because I know they are really going to love these brushes! A salon quality blow out at home, what's not to love? Remember: There are still some great giveaways active on the upper right hand side of the page! Stuff her stocking with the best blow-out she's ever had! Don't you just love that fresh from the salon blowout? It's totally perfect, not so straight it looks dead, and not so curly, not even wavy, but that bouncy, healthy, shiny, perfect blowout that your hairdresser leads you to beleive can only come from the pricey salon visit? Do you hate frizz and fight with your hair to make it straight? Do you only like it 'poker' straight and so after blow drying still use a flat iron? The high heat it takes to flat iron your hair is damaging. The damage occurs over time. And before you tell me you use the best heat serum protectant flat iron cream on the market, I can tell you, that high heat is STILL causing damage to your hair. Hairfreé™, is a viable alternative to the killer blowdry and then flat/curling iron combo! Do you want to continue damaging and burning your hair by using a flat/curling iron or would you like the same shiny, sleek, healthy looking hair with half the effort? I thought so! Hairfreé™ comes with a 100% money back guarantee! If within 30 days of purchase you are not completely satisfied with the performance of hairfreé™ simply return it for your money back. No questions asked. A super effective product with a company that stands behind what they sell, isn't that awesome? I have had the opportunity to try out both brushes now and I absolutely love them. I have very problematic hair to work with, it's fine, it's thin but there is alot of it, and it's very frizz prone. My hair, like me, has a mind of it's own. Some days it's a very stubborn mind. I will admit that I always had to do the killer blowdry followed by flat iron combo to get the results I wanted. Until Now. I get an amazing blow-out at home using these brushes. Which means I can visit the salon less frequently just for blowouts, and go mostly when I need to trim my ends or if I want to change my cut/style completely. Remember, for any blow-out to be truly effective you must apply the proper techniques to achieve the sleek results you desire! Your hair only begins to take on its final shape when almost dry. Towel dry your hair before you begin. Take the effort out of blow drying by using clips. Pin the top layers out of the way and begin with the underneath sections (e.g. the nape hair). Fully dry each section before moving to the next to prevent it reverting to its natural state. Aim the airflow from your dryer along the hair in the direction of the ends to get a smooth finish. Allow hair to cool before removing your brush from a blow-dried section of hair. This will make your blow-dry last longer as it is like using tongs or setting rollers. Leave the hair as it falls from the brush, only running your fingers or brush through it when all the hair is finished and cooled off. 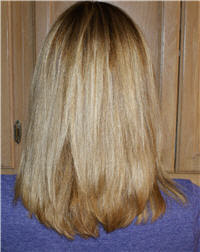 Finish off with an oil or gloss to prevent frizz and add shine. And of course, a great blow-out is achieved with a great brush, this is where Hairfreé™ comes in. The Ceramic technology in the brushes allow you to achieve the sleek, straight hair you desire and the venting cuts down on drying time. WIN IT! - TWO lucky Ascending Butterfly followers will have the chance to win BOTH of the Hairfreé™ brushes! Each winner will receive (1) Round Brush and (1) Flat/Paddle Brush! Hairfreé™ provided brushes to evaluate and is the sponsor for the brushes in the giveaway, there was no payment, and all opinions about the product are expressly my own! Hi! I am a follower. My biggest hair woe, is it is fine :( and flyaway frizz. I follow and my biggest hair woe is my dull frizzy hair! My biggest hair woe is frizz. It's ugly but my hair gets so frizzy that I am always battling that. I follow, my biggest hair woe is an annoying wavy'ness to my hair and frizz. My biggest hair woes are thin hair and two horrible cowlicks! Melissaaggie98 AT att DOT com. I tweeted this I just entered @Tracy_Iglesias Hairfreé™ brush set #giveaways worth $35 on #ascendingbutterfly - http://tinyurl.com/ykmpbhs today too! I DON'T KNOW HOW TO COPY THE URL ON TWITTER THOUGH. Im a follower. My biggest woe is cowlick....soooo annoying! 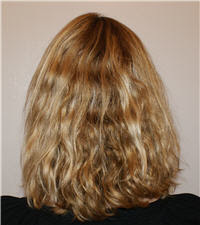 My biggest hair woe is that it is really thick and curly underneath and straight and flat on the top and outer layers. I follow and my biggest hair woe is a relentless cowlick! My biggest hair woe is frizzyness! I have a hard time getting certain little hairs stay in place...they like to stick straight up! I'd like to try this brush, thanks! I follow. My biggest hair problem-besides the gray-is it is so dry and flyaway. NOTE: ERICA C. I have published your entry because you are a follower, but your profile and your comment do not contain an email address. We ONLY notify winners via email. If you do not ammend your entry before the giveaway ends it will be deleted/voided! NOTE Rose your entry is not here because you are not following. Please follow the google instructions for using friends connect. IF YOU DO NOT SEE YOUR ENTRY HERE AT ALL WITHIN 5 HOURS OF POSTING YOU ARE MISSING A STEP OR YOU ARE NOT FOLLOWING. My hair is really dry at the ends and is really coarse. 2) My biggest hair woe... well 2.5 years ago I learned that I had RA and went on Methotrexate (a chemo drug used to treat RA in low doses) and my hair thinned. Then it grew back curly. Prior to this, pole straight fine glossy hair, now I have a curly thick head of hair and i have NO clue what to do with it!! Who at 40 suddenly wakes up to find out that they don't even look like them selves anymore?? haha, anyway, now I get to have frizz and all the other curly woes! And no clue how to deal! OMG my biggest dilemma with my fair is how CURLY and FRIZZY it is! But boy does it love HEAT! Especially the 400 some odd degrees coming from my CHI straightener!! Well I hope i win! My frizzy hair is the bane of my existence! Oh, I have the occasional good hair day if there's no humidity, but those days are few and far between! I follow. My biggest hair woe is my fine, frizzy hair. It is terrible with static in the winter. kirbycolby at gmail dot com Thank you! I have very long thick hair and my biggest problem is that it gets frizzy when the weather is damp. These brushes look fantastic! I voted for you in the Downy Simple Pleasures Next Scent giveaway. My biggest hair woe is the huge cowlick on the side of my forehead. I had to get rid of my bangs because of it. My daughter on the other hand has very curly hair that gets really tangled and frizzy. I am a fan of Ascending Butterfly on Facebook user Lisa Garner. I'm following Ascending Butterfly on Networked Blogs user Lisa Garner. Thanks! I have natural curly hair and my biggest woe if frizz, thanks for the chance! My main problem is that no matter how many times I brush, my long hair gets tangled after just a few minutes it seems. Hopefully these would help! I'm following you on twitter (@whitechocolatecherries). I'm following via Networking Blogs. You're one of my favorites on Technorati (username: whitechocolatecherries). Gosh, I can't wait until Technorati gets faves back! I follow and my biggest hair woe is tangles! My hair can get frizzy. Thanks! Frizz is my enemy:) Thanks for the chance! I hope this works for my main entry. I had problems with goggle or something before and ended up following as carolpie at first, then carol lewis and had to log into goggle a different way? My main hair problem is that I have waves that drive me crazy! I wash and style my hair every day but the straightness doesn;t last and my crazy wave comes back! and my hair likes to stick up there. I'm a follower. My biggest hair woe is that it has no body.